The Indian Railway Catering and Tourism Corporation Limited (IRCTC) is a public sector enterprise under the Ministry of Railways, Government of India. IRCTC was established on 27th September 1999 as an apex body of Indian railway to cater and manage hospitality on railway stations and trains to promote Indian tourism at domestic as well as international level. IRCTC headquarter is situated into the heart of national capital New Delhi. To operate the operations smoothly five zonal offices are working in Delhi, Kolkata, Mumbai, Chennai & Secunderabad. IRCTC provides complete travel and tourism solutions for the various customer segments and also catering to trains and at stations over the Indian Railway network. It is also called “Lifeline of the nation“. Chartering of special trains and coaches over the Indian Railway network. Tour packages – Bharat Darshan – special tourist trains for the budget traveler. Hotels – near important railways station all over India. Call centers – for rail and tourism related information. Onboard catering on trains all over the Indian Railway network. Multi-cuisine food plazas at important railway stations. With the availability of such wide range of services under one umbrella, IRCTC is, thus, able to offer readymade as well as customized packages to meet the requirement of all segments of the travel and tourism industry. IRCTC works with Indian Railway and other public and private organizations in the tourism sector, for running of luxury trains over the Indian Railways network. These include Palace on Wheels, Deccan Odyssey, Heritage in Wheels, and Fairy Queen. 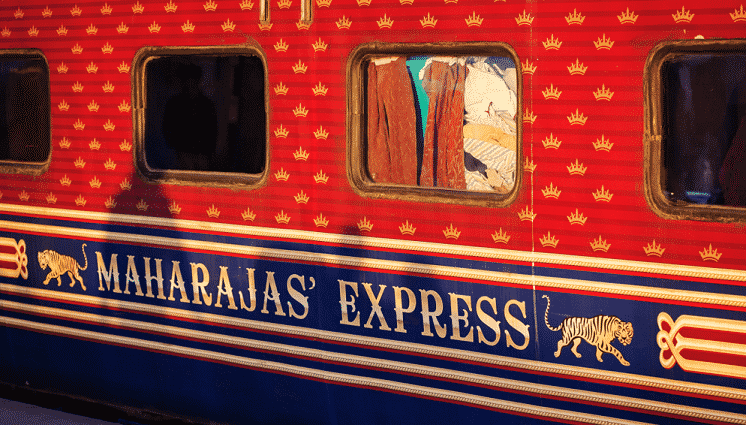 Maharaja’s Express is the one of the best luxuries’ tourist train of India. It has redefined royalty, luxury, and comfort. It has been a winner of “World’s Leading Luxury Train” by World Travel Awards consecutively for last six years. IRCTC offers luxury tourist cars for the smaller group. These tourist cars are air-conditioned cars with kitchenettes and modern comforts providing the luxury of a hotel on wheels. Travelers/tourists can also book a charter train or a coach according to their demands and requirement. IRCTC provides tour packages, covering a variety of tourist interests and requirements. These packages are all-inclusive, including rail travel, road travel, and hotel accommodation, sightseeing as well as onboard and off-board hospitality. IRCTC provides domestic tour packages as well as international tour packages to the tourist. IRCTC provide best deals in international holiday packages for Thailand, Dubai, Sri Lanka, Hong Kong, China, and Australia. IRCTC provides the domestic spiritual tourism packages for Tirupati, Shirdi or Mata Vaishno Devi. IRCTC also provide adventure tourism packages of Blue mountains of North East, Sand-dunes of Rajasthan, Hamlets of Ladakh, and wonders of Himalayas. There are special tourist trains for the economy traveler, which have customized itineraries covering places of cultural, historical, and religious interest. Village on Wheels train is operated for Bharat Darshan tour packages. Hall accommodation at places of night stay/morning freshening up. IRCTC operates several tourist toy trains. These trains are small in size and have a small carrying capacity. Toy trains are also called slow motion trains. The speed of these trains are slow and give a lifelong experience of the journey. Tourist can enjoy the scenic beauty of surrounding during their journey. IRCTC operates these trains mainly in the hilly area. 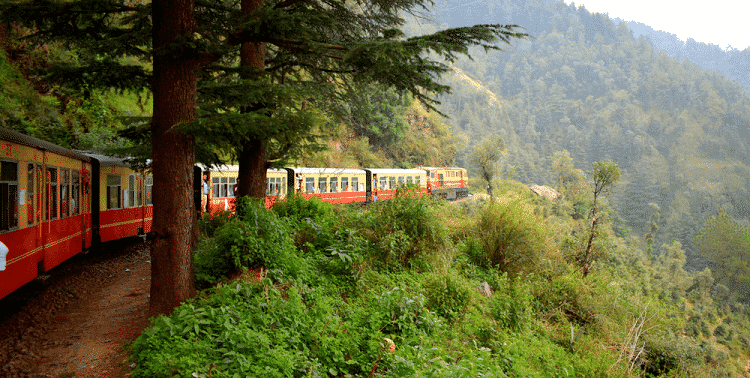 Kalka-Shimla Railway, Nilgiri Mountain Railway are examples of toy trains. IRCTC operated a train for the Buddhist Circuit keeping in mind the profile of Buddhist tourists. This train covered all the holy places of Buddhism, and all the places related to Lord Buddha such as Bodh Gaya, Sarnath, Kushinagar, Lumbini, Shravasti, Rajgir, Nalanda etc. Onboard and off-board services comprising of catering, housekeeping, hotel accommodation, road transport, sightseeing, tourist guides, security, and medical facilities are included in the tour package. Buddhist circuit train won the National Tourism Award in Feb. 2009. The tatkal scheme is operated by IRCTC. The Tatkal or immediate booking scheme opens at 8 a.m. five days before the actual date of journey excluding the date of journey. For example, if a train is leaving on the sixth day of the month, the tatkal booking will start at 8 a.m. on the first day of the month. No proof of the identity id required for reservation under the tatkal scheme neither at the time of booking nor during the journey. The Indian Railway has a tatkal quota in each train in 2A, 3A, AC chair car, and sleeper classes. Under this scheme, passengers are required to pay full fare from the starting point till the end destination, even if they board or get off the train at any in-between station on the route plus the tatkal charges as applicable. Indian Railway Catering and Tourism Corporation (IRCTC) provides the facility of booking circular journey tickets for pilgrimage or sightseen trip to many destinations. These tickets offer unique travel flexibility, as they are issued for all journeys (other than regular routes), which begin and complete at the same station. Circular journey tickets can be purchased for all classes of travel. A maximum of eight break journeys is admissible on these tickets. Standard circular journey tickets are also offered by the zonal railways. These cover popular destinations for the convenience of tourists. The details of route, fare etc. for these tickets can be obtained from the nominated station in each zone railway or from online portal of IRCTC. IRCTC also provide air ticket booking facilities for the tourist and travelers. Tourist and travelers also book air ticket of domestic as well as international travel through IRCTC online portal. It is an authorized agency to book LTC tickets. Travelers also book air travel ticket through IRCTC Air Mobile App. This app is available on google play store and it is only available for Android users. IRCTC’s tourism portal is the fast growing a one-stop travel shop and meets all the travel & tourism needs of a tourist. Online booking of tour packages, hotels and Car Rental across the country is becoming increasingly popular through this portal. IRCTC’s tourism portal also wins the National Tourism Award. Why are polar regions cold?